I should have written this post ages ago, but we kept going back before concerts, and before I knew it I had been three times and had written about it never. So I will do my best to keep it brief, but we went to several concerts this summer at Ruoff/Kilpsch/Deer Creek and I was looking for somewhere to grab dinner beforehand that would take a reservation and was not a chain. Difficult in this neck of the woods. And the food at Ruoff? Well it’s appalling. Hey, Guy Fieri is not my thing but at least those burgers they had there a few years back were edible. 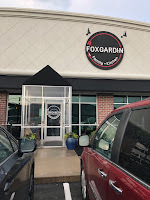 Anyhow, I stumbled on Foxgardin, which is actually a good option location-wise. It in a location that you can stay off of 37/69 too much and avoid that awful traffic (seriously, you northsiders, I don’t know how you do it). And it’s a quick 5-10 minutes into Ruoff after. And they give concert-goers a discount off the bill. We went with the kids a few times and alone once and have tried a lot of things. Highlights were the tomato and burrata salad they had at the end of the summer which featured nice, ripe Heirlooms. 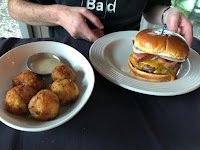 The burger ($12) was also a highlight, and we didn’t discover it until the last visit. It is juicy and cooked to order and has a nice Brioche bun and just the right amount of cheese. The burger was more of a fat-style burger, but not so big that it was ridiculous. The buffalo wings ($9.50) were also solid. A nice amount of kick. They weren’t mind blowing, but tasted good with the burger and salad (hubby and I split the three). The little fried mashed potato balls were tasty as well. They became slowly addictive as you ate them. 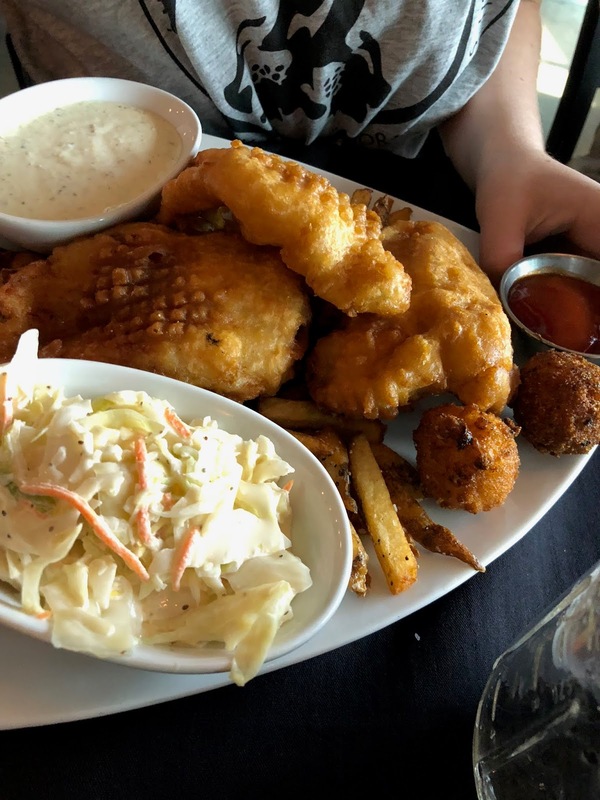 Other things that were good, but maybe not quite as good as the burger and salad were the fish and chips—nice batter, but fairly basic, fish and chips. Also, they push their steaks and always have these special prime options. My son has had a regular filet ($27) there and enjoyed it. I don’t think he thought there was really anything that made it mind-blowing, but it was a good, solid steak. 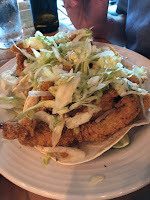 Same goes with the fish tacos ($12)—not bad, but not something I would rush to order again. Several times we have also gotten the pretzel bread with beer cheese and pimento cheese ($11). 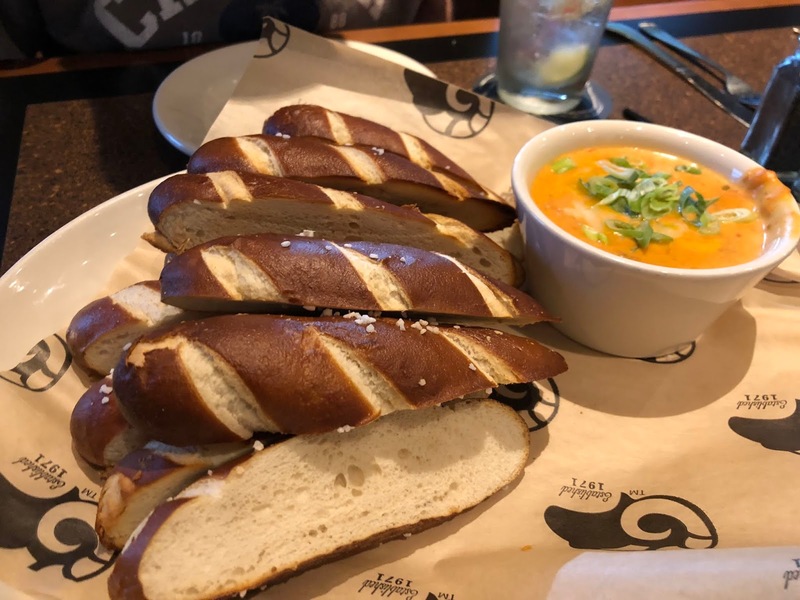 This is also a family favorite, although I prefer the pimento cheese to the beer cheese (which I think is just a bowl of the beer cheese soup that is also on the menu). The bread is spot on though. 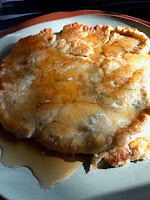 The first couple of time we also had this savory pancake that had some heat and sweetness (I am thinking hot honey?) 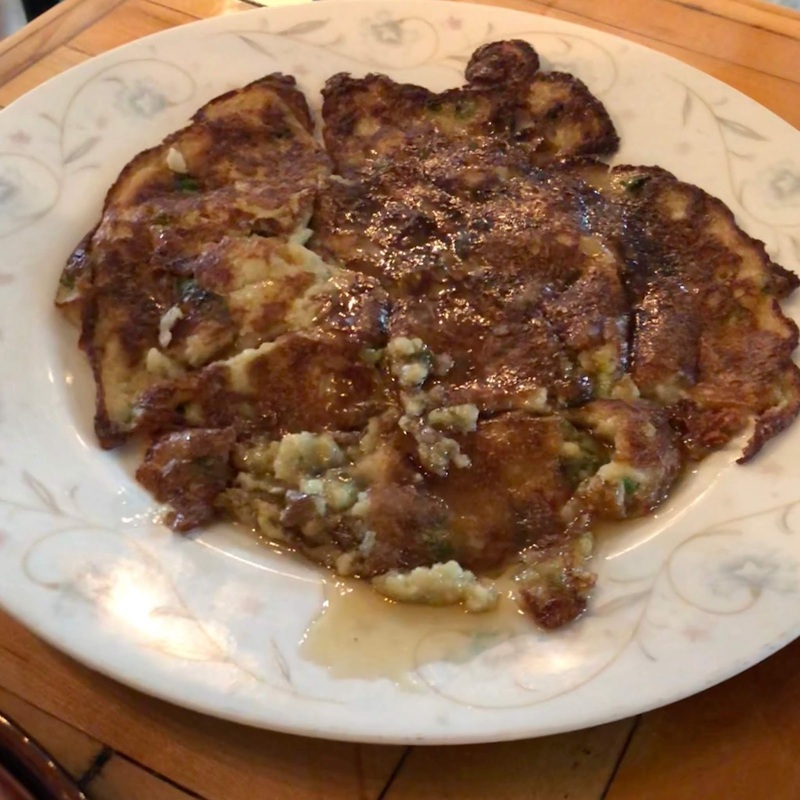 but it was weird because it looked really ugly the first time, but tasted really good, and looked really pretty the second time and wasn’t as good. 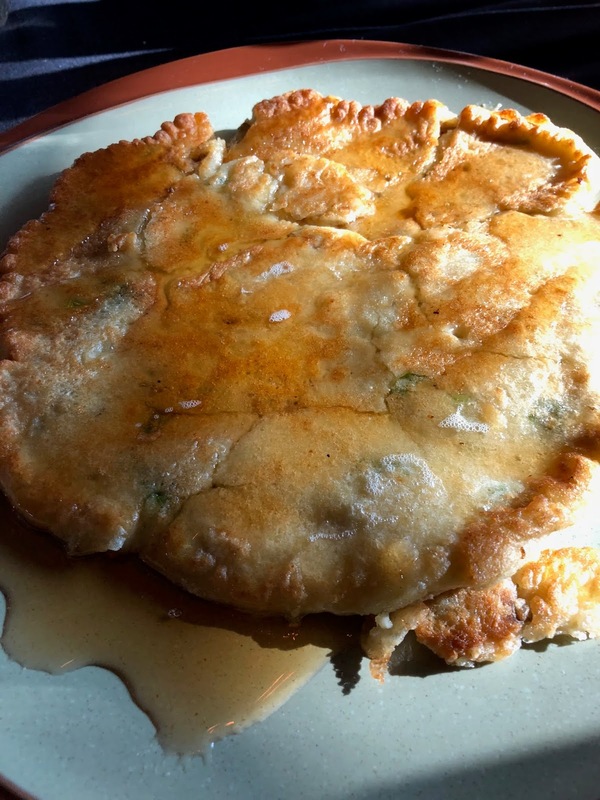 So I am not sure which version was the intended version, but it was an interesting dish. 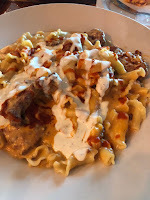 My least favorite things I have had was the buffalo chicken pasta ($9) and the crab cake. 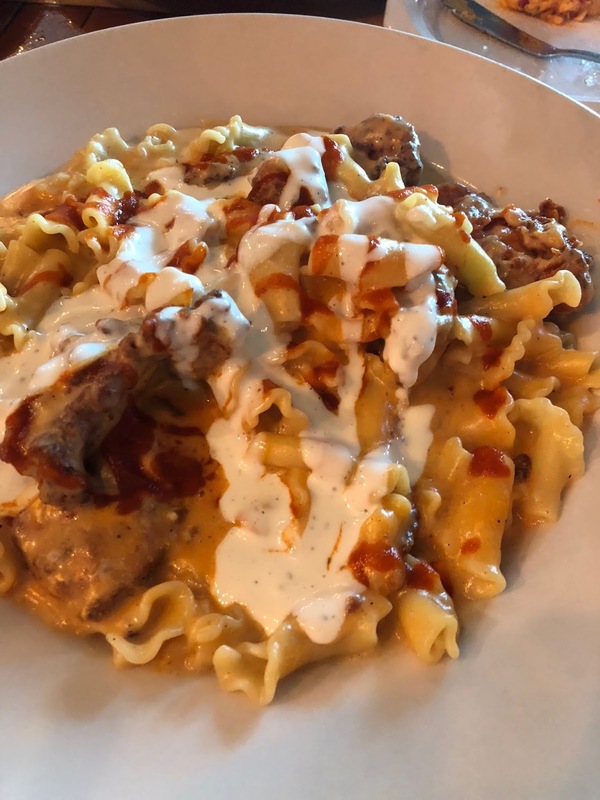 The pasta was really big, and for a buffalo chicken flavored dish, it was kind of bland. The carb cake had that all filling, no crab vibe going. We have also had spotty service here. Sometimes it’s great, and on about half our visits, our service was pretty slow. 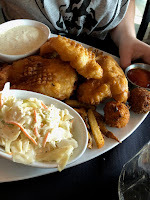 Overall, you can see it is kind of a mixed bag here, but there are golden nuggets scattered throughout the menu. And I appreciate that they change the menu up regularly and also always have specials. Someone in the kitchen is using some creativity and keeping the menu new and different. And I appreciate the discount before a concert. It’s probably not a place I would seek out just for a regular dinner out, but it is definitely a place we will go again before a concert. This is also a place that I would really like to hear back from you guys on though for possible dishes in the future—what have been your favorite things? 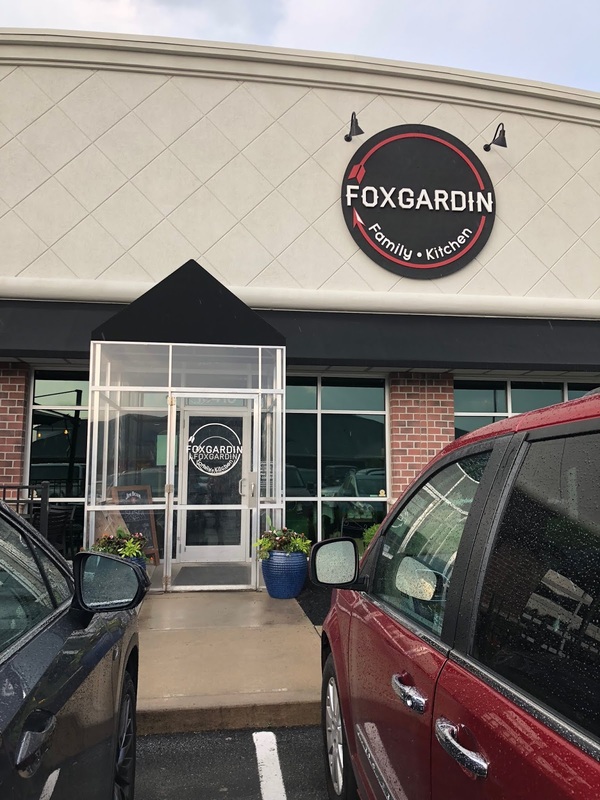 I like this location and I realize you were reviewing it because it's family-friendly and close to Deer Creek (sorry, not sorry), but you should definitely go to the adults-only location in Fortville. I think the food is better, it's much smaller, and just has a different feel. You'll want a reservation on the weekends; we decided to drive up last minute once and were lucky to grab two seats at the bar, but reservations are the way to go.